Gifted Learners Creating, Collaborating, Embracing Challenges! As you walk through classrooms at Benfer, you will see many gifted students creating, collaborating and embracing challenges as they work on their research pathways. 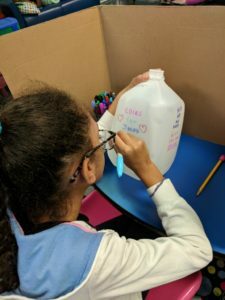 It is exciting to see students’ passions unfold as they catch you up on their latest research, or show you what they have been building and designing. 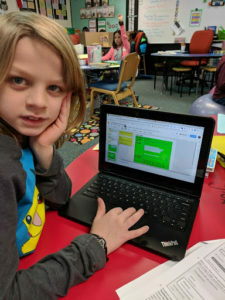 To support each other on this journey, our 5th graders created a Google Team Drive specifically to house their projects. There you can find encouraging comments on students’ work as they help each other pursue excellence and overcome obstacles. 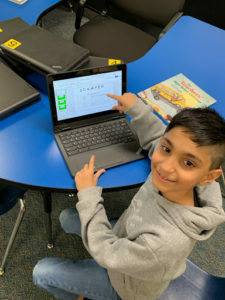 Outside of the research pathways, students in 3rd grade have been utilizing technology as they challenge their learning in both reading and math. A variety of Google tools have been used to extend lessons with activities like SCAMPER for math and Depth and Complexity for reading units. In addition to Google apps, students are also creating digital inspiration boards in conjunction with Thrively, focusing on both academic and personal goals. This spring, Benfer has plans to continue our partnership with Strack as our GT students collaborate with each other as makers, innovators and creators in monthly challenges.